The sun rises, fierce, in the Spanish sky. A ragtag, beaten-down group of actors, production assistants, and other Game Of Thrones crew members warily watch the horizon, exhaustion lining every dust-covered face. There is a disturbance there, in the far distance, and every man and woman among them tenses. An old key grip speaks, in croaking voice, a dire pronouncement as much dark prophecy as well-meant warning. Apparently the people of Spain are continuing their near-riotous love affair with HBO’s hit fantasy drama, with many of the show’s actors—including those who have yet to actually appear in the series‚ being swarmed by fans. 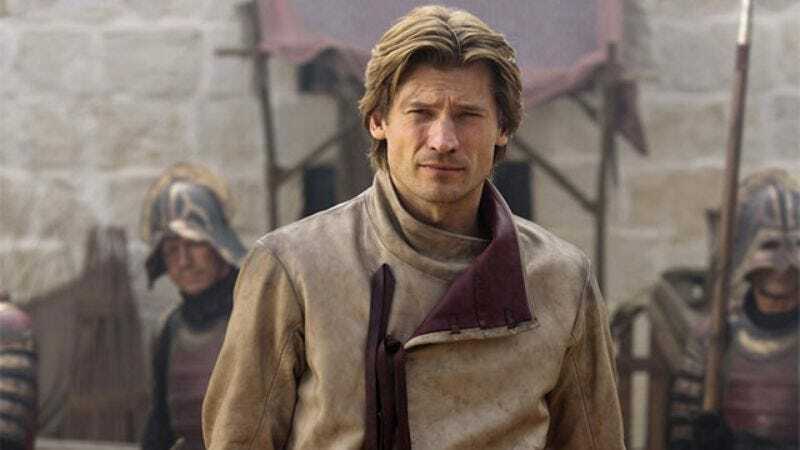 Series star Nikolaj Coster-Waldau, talking to Entertainment Weekly, compared the reactions to the response the show gets in its usual home of Northern Ireland, saying, “[Fans have] become more intense in Belfast for the first time too, but it’s nothing like Spain.” Besides the hordes of extras applying to serve in battle scenes, large groups of young women have also apparently been gathering around the hotel where the actors are staying, protected only by a mile-tall wall of ice and magic. “There are a lot of girls trying to kiss the actors,” said local production company director Piluca Querol. Spain is currently filling in for Dorne, the fiery home of fan-favorite failed hat model Oberyn Martell and his vengeful family. The EW article also confirms the recent rumors that Coster-Waldau’s character, Jaime Lannister (House Words: “Hear me—wait, did I just hear scissors? Did someone just cut off a lock of my hair? Jesus Christ, Spain”) will be venturing there in the show’s upcoming season, a major departure from George R.R. Martin’s books.